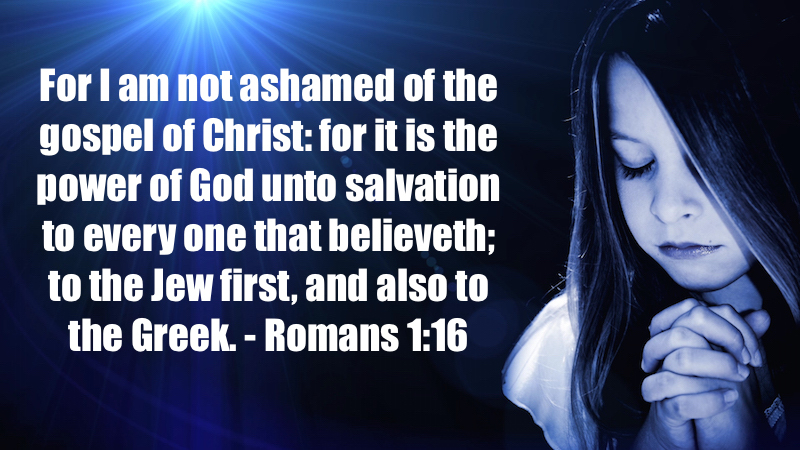 In yesterday’s post, I Am Not Ashamed, we spoke to a single aspect of one of the great verses of the Bible, Romans 1:16. But there is more to be considered from this special verse. Paul, the author of Romans, had formerly been a persecutor of Christians. He was known as Saul of Tarsus. However, he renounced his Judaism, surrendered his advantages, privileges, and credentials and became despised, rejected and persecuted by the enemies of Christ. Romans 1:16 sums up Paul’s conversion. His appreciation for the gospel. How it changed him. Why he preached it. And what it can do for us. Consider these seven keywords that make this a great verse. (1) Gospel. The word “gospel” is found 100 times in the New Testament. And quite simply it’s defined as “good news, or “good tidings.” The word evangelist comes from the same Greek word which means “a bearer of good news.” I am a gospel preacher! A bearer of the good news! (2) Christ. It’s “The gospel of Christ” (Rom. 1:16). It was brought to light by Jesus. He came and preached it. And he is the basis and foundation of it through his death, burial, and resurrection. Only through Jesus can we be saved (Ax. 4:12). The gospel of Christ is the gospel of God’s grace (Acts 20:24). We don’t deserve it! We didn’t earn it! But we are the undeserving recipients of its wonderful blessings. (3) Power. The Gospel, God’s Word, is alive and powerful. The Hebrew writer said is it “sharper than any two-edged sword, piercing even to the division of soul and spirit, and of joints and marrow, and is a discerner of the thoughts and intents of the heart” (Heb. 4:12). God’s power through the Gospel can convert our thinking. Touch our emotions. Prick our conscience. And affect our decisions. Powerful, indeed! (4) God. The Bible testifies to God’s great power. His power is called glorious. Irresistible. Unsearchable. Mighty. Incomparable. Strong. Everlasting. Effectual. And sovereign. God’s power is demonstrated through the gospel of Christ. It is an expression of his amazing grace (Ax. 20:24). His universal, unquenchable love (Jn. 3:16). And His marvelous mercy (Eph. 2:4). (5) Salvation. The book of Romans is about salvation. It is the gospel message of God’s plan for man’s salvation through Jesus Christ. Romans 1:16 is a simple prelude to the great themes of Righteousness. Justification. And sanctification. The human race has sinned. All of us. None is righteous. Not one. (Rom. 3:10; 23). But we don’t have to be lost! The Gospel reveals the means and method of our salvation. (6) Everyone. Who can be saved? Everyone! Jew and Gentile. Male and female. Bondservant and free. There is no elite in God’s Family, only the elect saved by the Gospel of Christ. Romans 1:16 proclaims that the saving message of the Gospel is for all people of every race and nation. (7) Believes. God calls on us to do our part. We must believe. But Bible belief is not a weak mental acquiescence. Faith calls for effort. It requires works. It demands obedience. As James expressed it, “faith without works is dead” (Jas. 2:20). What a powerful message. And a precious promise. Thank God for the gospel and its personal impact on our lives.